Acting Attorney General Matthew Whitaker faced a sharply divided US congressional committee Friday, with Democrats pressing him on his relationship to President Donald Trump and oversight of the special counsel's Russian Federation investigation. Asked whether he had ever been asked to approve any request or action by the office of special counsel Robert Mueller, Whitaker refused to answer. Though clearly exasperated - he drew gasps and chuckles when he told the committee chairman that his five-minute time limit for questions was up - Whitaker nonetheless sought to assuage Democratic concerns by insisting he had never discussed the Mueller probe with Trump or other White House officials, and that there'd been no change in its "overall management". "We have agreed to five-minute rounds", he added. "There's been no event, no decision that has required me to take any action, and I've not interfered in any way with the special counsel's investigation", he said. Despite Whitaker's clear answer, Jackson Lee complained she wanted a yes or no answer, but Nadler indicated to her that the questions was answered, so she moved on. The Democrat's "jaw dropped when Acting AG Whitaker told the chairman his 'five minutes is up, '" she reported. Whitaker said he had not talked to President Trump about the investigation, but said he intends to keep his conversations with the president private. Mr. Whitaker, you don't run this committee. The good news is that the Whitaker show is unlikely to last much longer at the Department of Justice. 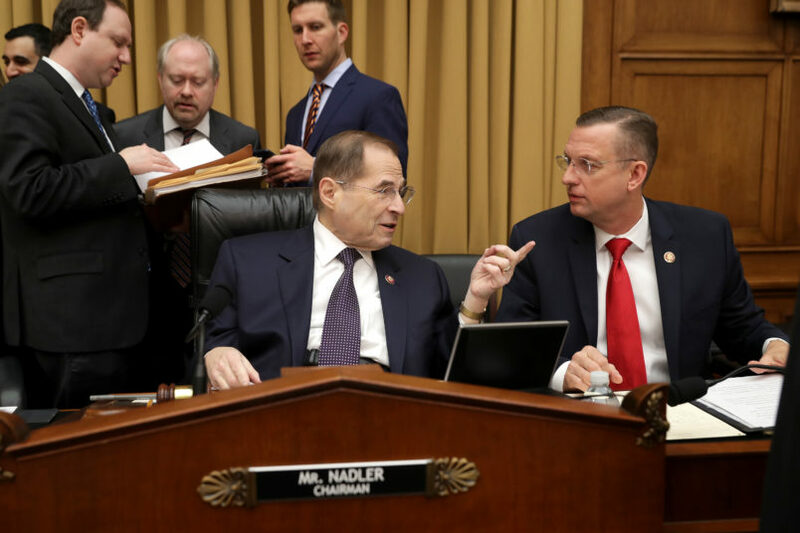 "If you appear before the committee tomorrow morning and if you are prepared to respond to questions from our members, then I assure you that there will be no need for the committee to issue a subpoena on or before February 8", Nadler wrote. Since Democrats took control of the House last month, they have launched several congressional inquiries into Mr Trump's business dealings and his actions as president. "Have you communicated any information in that briefing to President Trump?"